P’ter Chan with his songbook. P’ter Chan, 69, never played a musical instrument before. 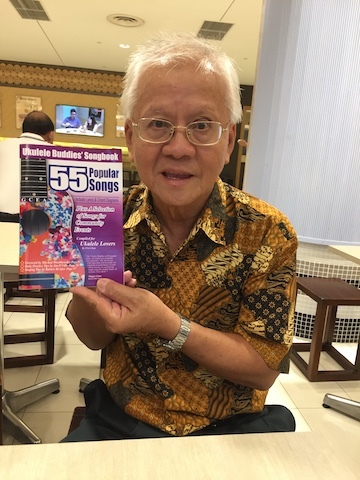 But then he tried playing the ukulele, and he got hooked and has since published his own songbook of 55 popular songs to encourage more seniors to easily pick up the ukulele and find songs that they can play of their generation. It was through those lessons that he grew to appreciate the ukulele. “I found it fun especially when I could play my favourite Elvis songs like ‘Can’t Help Falling in Love’ and start my day with praise of God by playing the ukulele,” shared the grandfather of two. 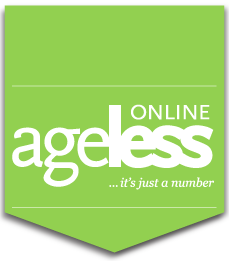 And, then came the aha moment – “I was rather sad to see a lot of seniors who wanted to learn the ukulele but couldn’t seem to acquire the skills. I had also talked to some of the teachers and they shared that the learning difficulties faced by the seniors could be overcome if the materials are organised in a user-friendly manner to suit the seniors. “Also, the seniors told me the imported songbooks would cost S$20 or above each and rather prohibitive, and there would only be about two or three songs to their liking. They said that if there were lots more songs from their teenage years, and that they would be willing to purchase such a book and if it was priced below S$10.” P’ter listened to all the opinions and decided to do something about it. The rest of the evergreen songs from his first version remained, including an old Mexican song called ‘Bésame Mucho’ (Kiss Me A Lot), ‘All My Loving’ by the Beatles, and ‘Could I Have This Dance’ by Anne Murray. The songbook also contains some Malay songs including ‘Madu dan Racun’ (Honey and Poison) and Chinese songs such as ‘Ji Pa Ban’ (One Million) and ‘Jin Tian Bu Hui Jia’ (Tonight Nobody Goes Home). The former manager of PSA never for once thought his retirement would include compiling a songbook. “Long time ago, I read a book called ‘Think and Grow Rich’ by Napoleon Hill where he shared this advice – ‘If you want to be successful or rich, you must find a need and fill it!’ That piece of advice was always on my mind.” So far, the response to his songbook has been “very positive”. He hopes more will discover the same love of ukulele that he has happily found. As he ponders on whether to come out with another songbook with more songs from the past and take to social media to promote his songbook, P’ter continues strumming his ukelele not just at home but also once a week at a jamming session at his church and playing at occasional charity performances. ** Copies of P’ter’s ‘Ukulele Buddies’ Songbook’, which costs S$8 each, can be found at Memphis Music at Coleman Street, JX Young at Orchard Central and Guitar Gallery at Parklane Shopping Mall.